I thought HW fans would find her story very interesting, and she sounds like Katherine Jenkins. Well the latest google says she's bringing out her own CD (though how financed doesn't say) and in some ways could be seen as a parallel to Hayley. Unlike Hayley she pushed herself to Ireland and is having to busk in Nelson as CHCH is too wrecked. 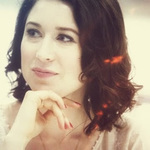 I wonder if Hayley might take the time to research her, hear her and perhaps... give her a leg up? The latest blurb contrasts her favourably with Hayley but with added vibrato, although the positive way to express that would be to say that Hayley perhaps has the experience not to overdo it!? The details are here www.stuff.co.nz/nelson-mail/entertainment/cd-reviews/5704166/Rebecca-Nelson-Pure-Imagination and there is perhaps some publicist's artifice in the title: "PURE Imagination" and a cover which embodies past Hayley experiences. In a quick glance by the uninitiated it could be mistaken for a Hayley product in the sales racks! You can pledge for Rebecca's new album here: www.pledgeme.co.nz/projects/2235. I wish I could afford it but it's a bit too expensive for me. It's a shame I think she has a very good voice. Yes I enjoyed her first album and she has been singing the opposition national anthems for the All Blacks home games recently. I have pledged for her new CD. 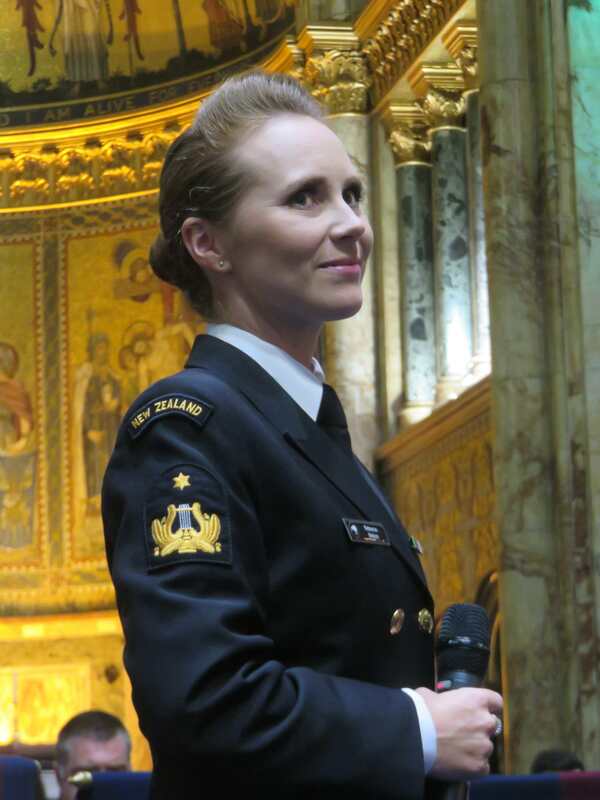 Rebecca Nelson is now an "Able Musician" in the Royal New Zealand Navy. She has been in Britain for the past week or so, touring and giving some private performances at various military venues, including on the deck of HMS Victory (the flagship of probably a somewhat more famous Nelson). 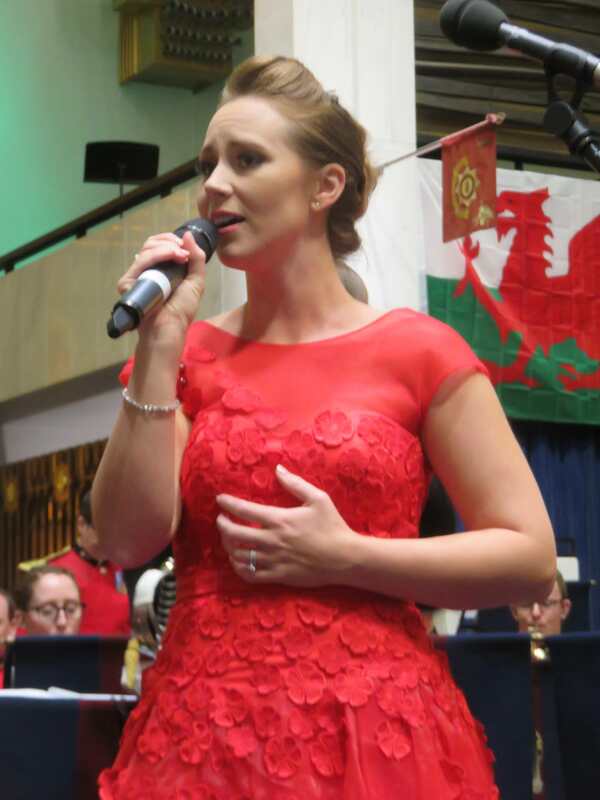 Last night was Rebecca's one public performance in this visit, when she was guest soloist for the Welsh Guards at their St. David's Day concert (only a week late) in the Guards' Chapel at Wellington Barracks in London. I met Rebecca in the interval. When I mentioned about her coming from the same place as Hayley, she told me that she and Hayley went to school together and even had the same singing teacher. I haven't uploaded my photos yet, but maybe I could share a couple of them here if people are interested. Rebecca sang the National Anthem and two solos - Tarakihi and All Through the Night - in the first half, wearing her naval uniform. She changed into this gorgeous dress to sing the Anthem from Chess in the second half of the concert, and also joined in the finale - Land of my Fathers - with Wynne Evans (Mr Go Compare). Looking back at Ross's photos from the Sol3Mio concert in Christchurch with Hayley, I think this is one of the dresses she wore for that occasion. Thanks very much, John, for sharing these glorious pics! Thanks John, these are the only pictures showing in this thread so well done.